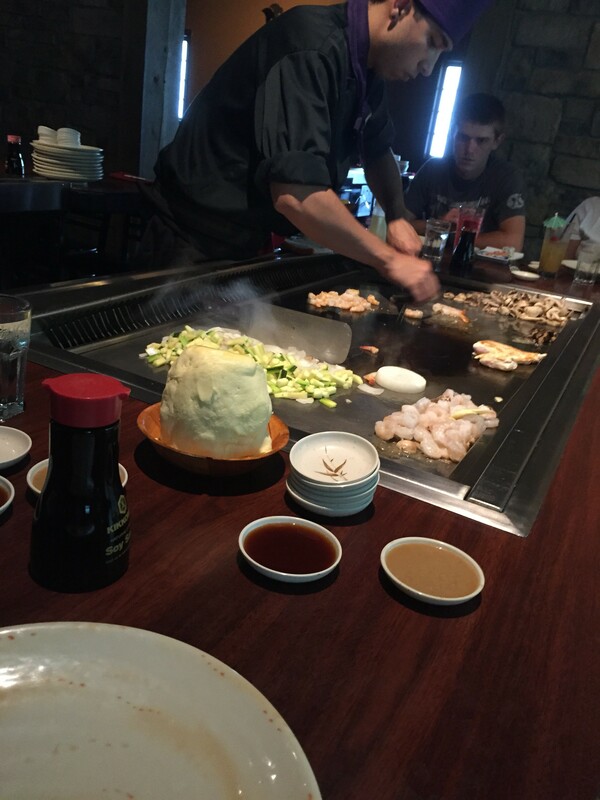 My friend and I took a drive to Green Bay to check out Nakashima of Japan for Restaurant Week. We both chose to go with their hibachi dinner rather than the sushi dinner option. The price was the same for each at thirty dollars. We sat at a table with four other patrons with one side available for the chef to work his magic. For the entrée, I ordered a combo of filet mignon and shrimp, which came with hibachi vegetables and rice. Everything was rich and full of deep flavor. 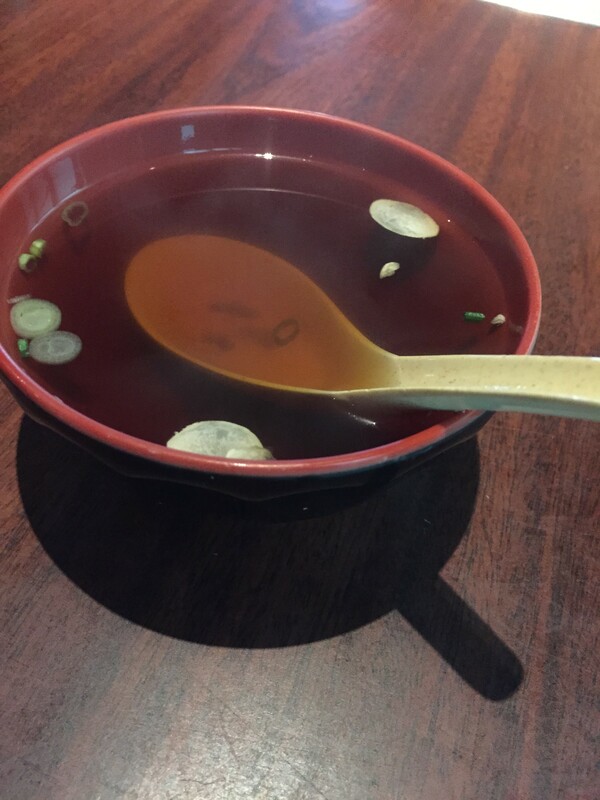 The chef made jokes as he threw items up in the air. He was a delight to watch. We also had some oolong tea. My dining companion and I ordered everything the same and agreed that it is definitely a place we plan to return. 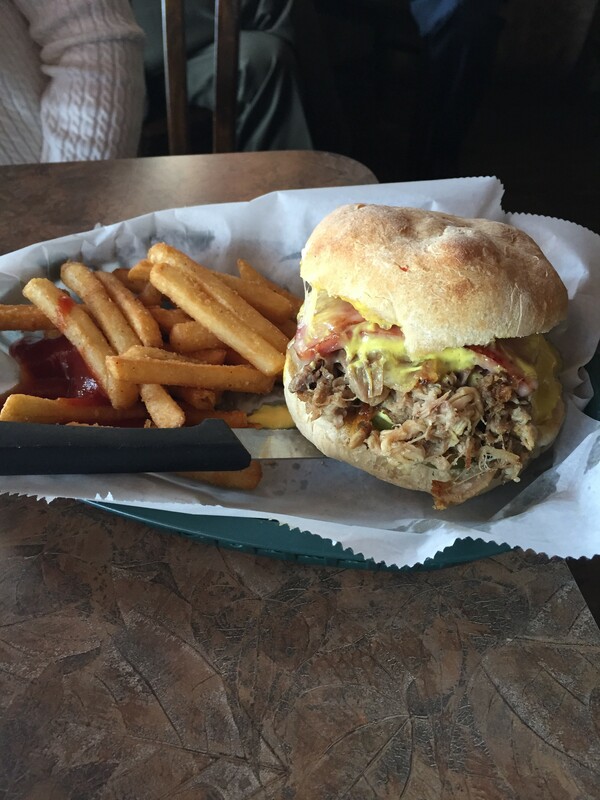 Green Bay Restaurant Week is a good idea for people to get out and try places they may not have before. We both left with a doggie bag, too. 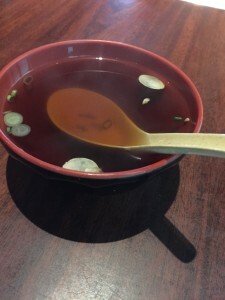 This entry was posted in Noshes Up North, Uncategorized and tagged Green Bay Restaurant Week, Nakashima of Japan, Noshes Up North Review on July 29, 2015 by MaryGrace. 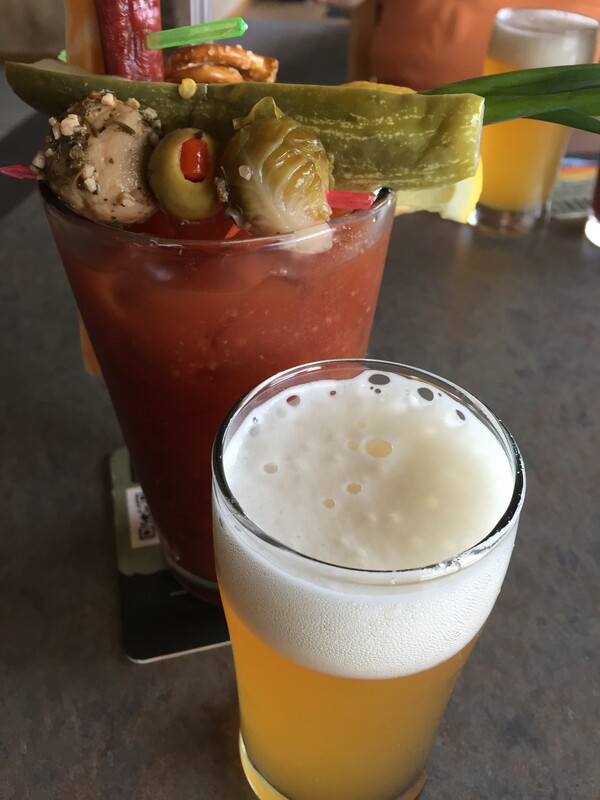 Up until a year ago I didn’t enjoy a Bloody Mary. That has all changed and now I can’t seem to stop ordering them. 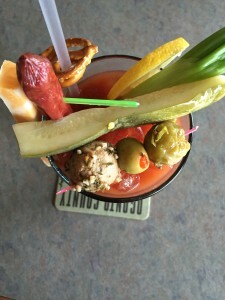 Here are a couple pictures of one from The Dockside in Oconto. 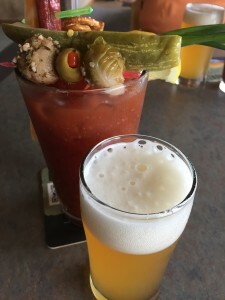 Two varieties are offered and on this day I ordered the “Loaded Bloody Mary.” Indeed, it was loaded with flavor and had enough food to be considered a true nosh! This entry was posted in Noshes Up North, Uncategorized and tagged Dockside, Noshes Up North Review, Oconto, WI on July 23, 2015 by MaryGrace. 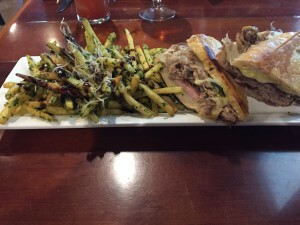 I enjoyed my lunch so much the first time I went to Nicky’s Lionhead Tavern, I had to go back. 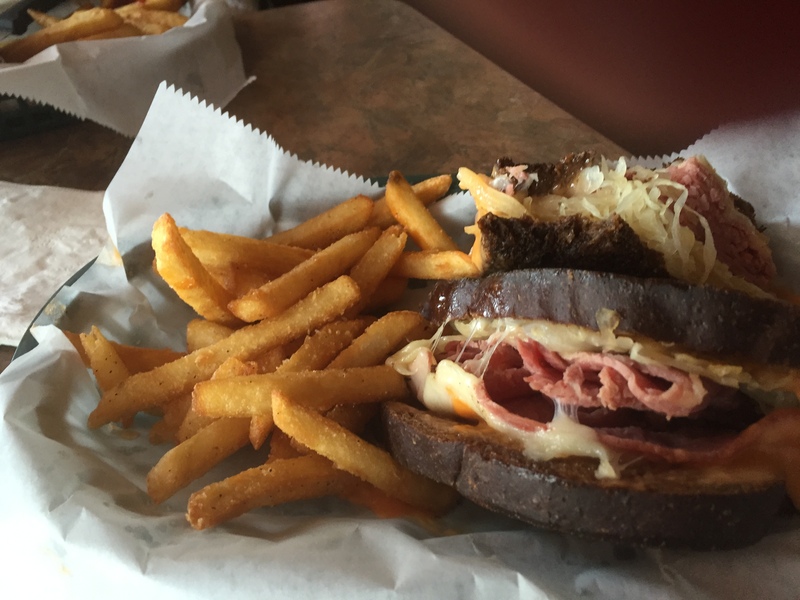 On my first visit to this old pub in De Pere, Wisconsin, I ordered a Rueben, with thick pastrami, tangy kraut, and Swiss cheese.. Delicious! 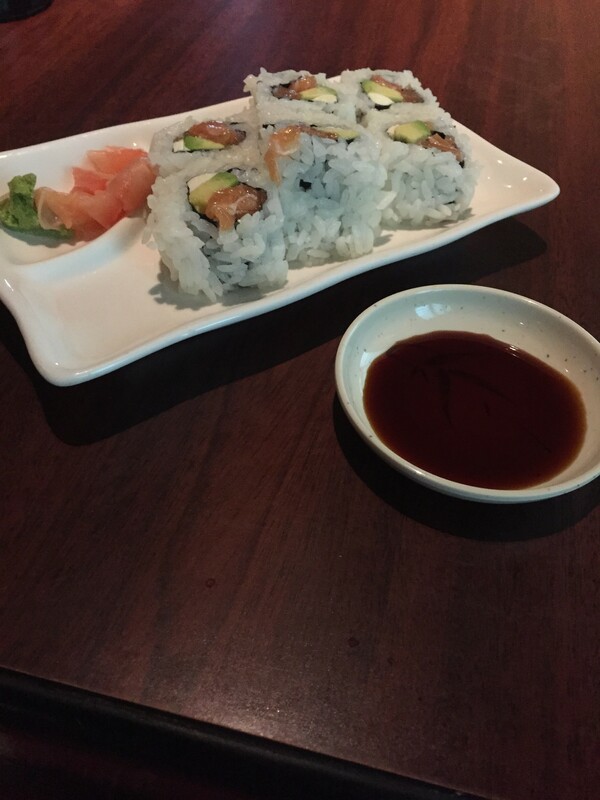 It was good enough to order again the second time, but I wanted to try something different. 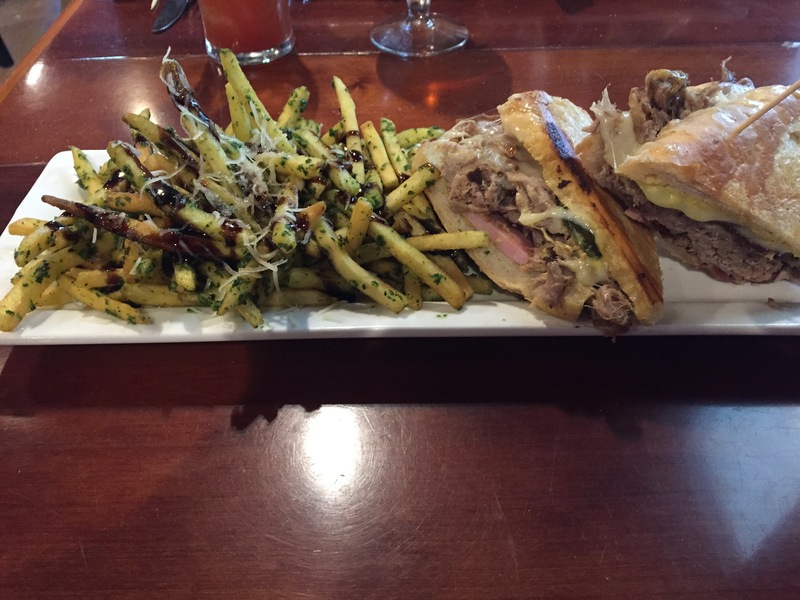 I went with the Cuban sandwich, featuring slow roasted pork, smoked ham. and Swiss cheese. The mustard and pickle gave it added zip Each sandwich came with fries, a pickle, and a full feeling that lasted for hours. Of course, this lunch started with a Bloody Mary, too. A true nosh! This entry was posted in Noshes Up North, Uncategorized and tagged Bloody Mary, Cuban sandwich, Nicky's Lionhead Tavern on June 18, 2015 by MaryGrace. My friend suggested eating lunch at the Ogden Club in Menominee, Michigan when we were shopping in the area recently. I had driven past there many times, but never really considered stopping. I think I thought it was a private club. The atmosphere was pleasant. A nice bar and many tables. 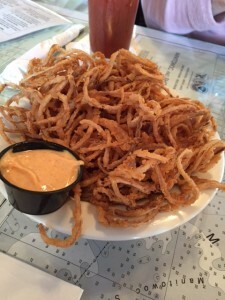 Their Tuesday special was half price onion tangles. We were unsure if they would be good, but half price, how could we lose? We decided to split an order. 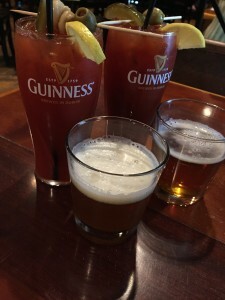 Were we ever glad we didn’t each order one! It was huge. We didn’t even finish the one we shared. They were light and delicious. I won’t wait for these tangles to be half price to order them again. We also had burgers and were very satisfied. We plan to return to The Ogden Club. A true nosh! 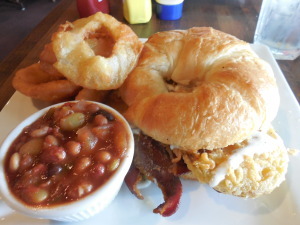 This entry was posted in Noshes Up North, Uncategorized and tagged Noshes Up North Review, onion rings, The Ogden Club on May 21, 2015 by MaryGrace. A large group of Green Bay area writers went to the Wisconsin Romance Writers of America Conference in Brookfield last weekend. We listened to speakers, editors, agents, and other authors. There was lots of discussion on independent publishing which seems to be the way to go. 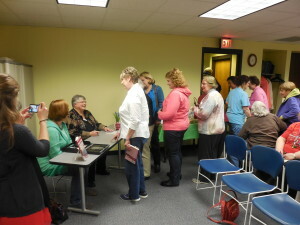 I had a chance to get to know other authors in the area better and we all enjoyed the book signing. 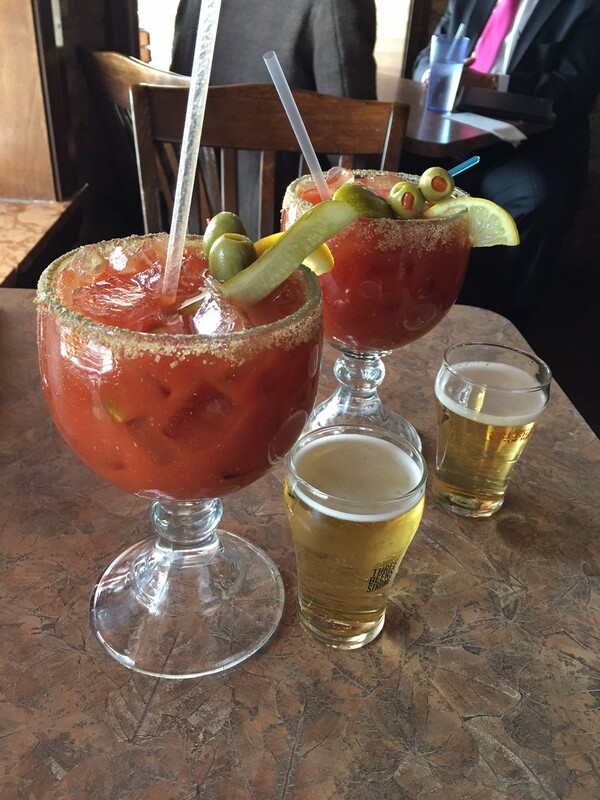 A great weekend! 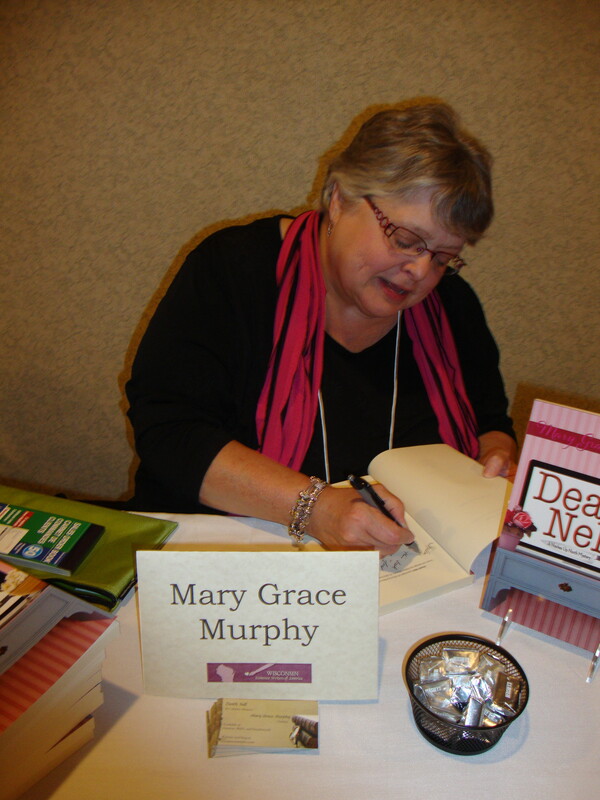 This entry was posted in Noshes Up North, Uncategorized and tagged Book signing, Death Nell on June 17, 2014 by MaryGrace. 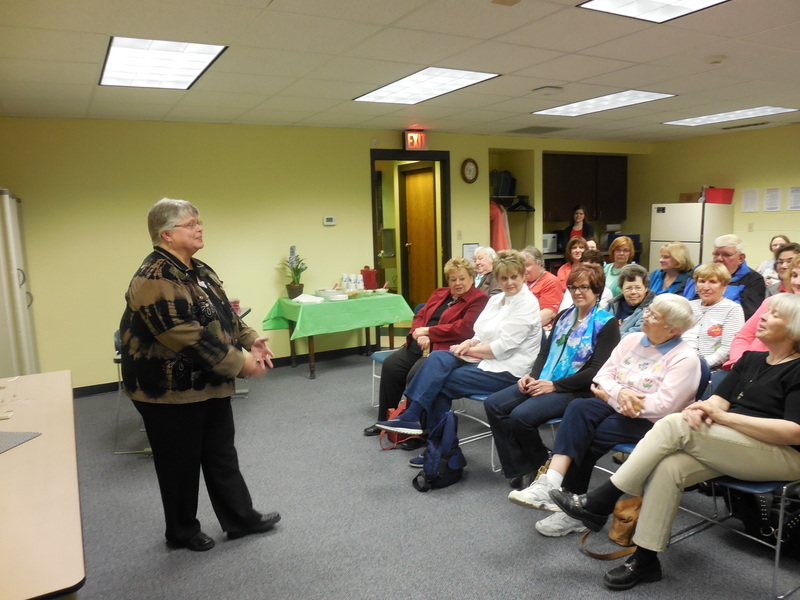 My author talk at Farnsworth Public Library on May 8 was well attended and enthusiastic. I gave the audience a bit of my personal history and then how I came to write Death Nell. 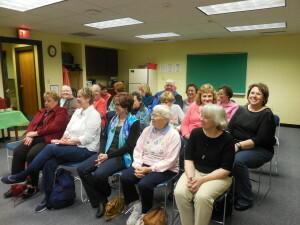 We then had a question and answer session and I found that I have a group of readers that are quite interested in the sequel. I better get busy. 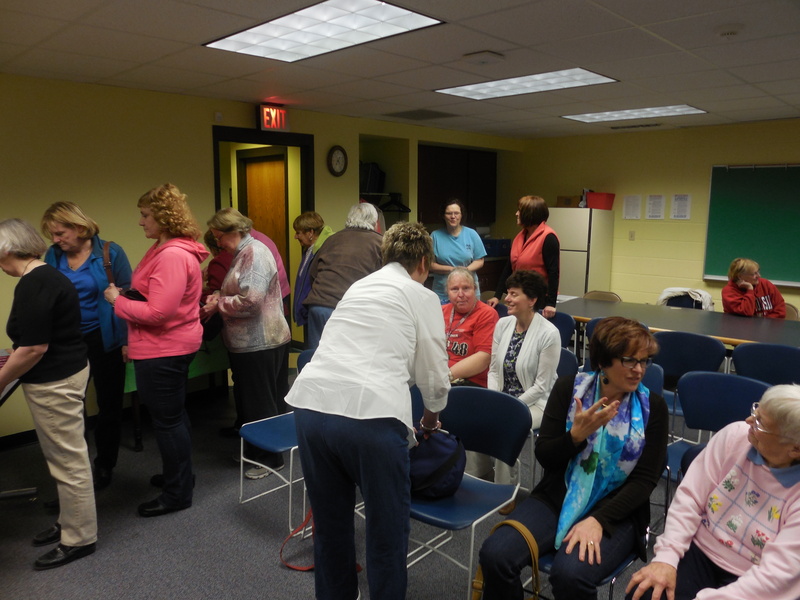 At the end Kristin, the librarian offered snacks – including Nell’s own “Love on a Chip” dip. Thanks, Kristin and all who attended. This entry was posted in Noshes Up North, Uncategorized and tagged author talks, Book signing, Death Nell on May 9, 2014 by MaryGrace. And Now Starring . . . Imagine my surprise when I was driving down Main Street today, and saw my name in big letters in front of the library! Granted, it wasn’t written in lights, but no one ever told me it would be, so I’m ahead of the game. 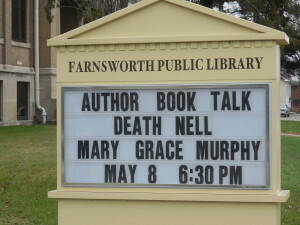 I’m giving a talk about my book, Death Nell, at 6:30 on Thursday, May 8th at Farnsworth Library in Oconto.. Hope to see you there! 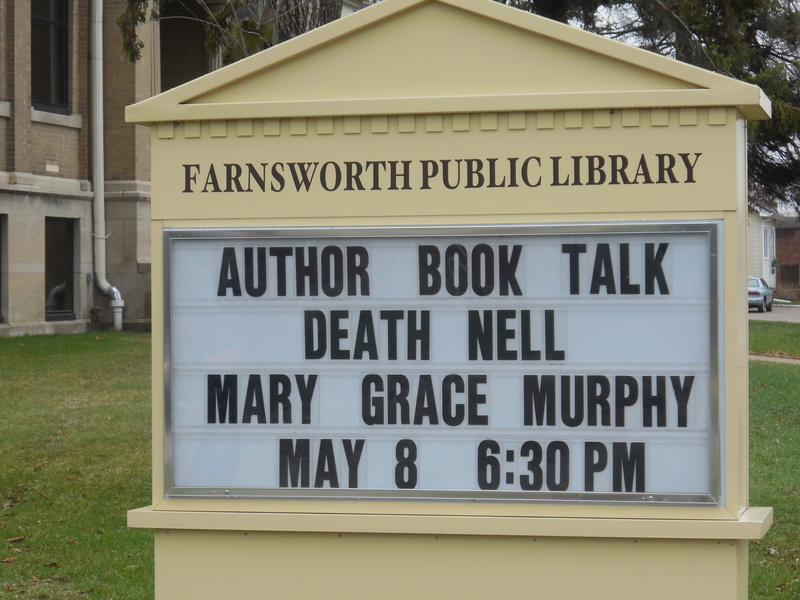 This entry was posted in Noshes Up North, Uncategorized and tagged author talks, Death Nell on April 30, 2014 by MaryGrace.